COMSATS Member States need science and technology-based solutions an d approaches for achieving Sustainable Development Goals (SDGs) and these nations should engage their R&D organizations in the process for formulation of national development plans. These views were expressed by the participants of a talk on ‘Scientific Perspective on Sustainable Development Goals for Pakistan’, organized by the Commission on Science and Technology for Sustainable Development in the South (COMSATS). 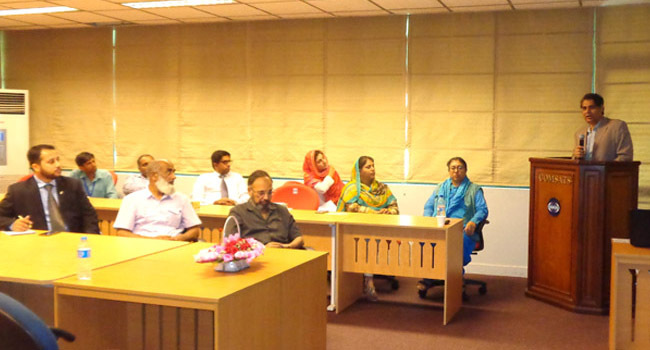 Arranged under the umbrella of COMSATS Science Diplomacy Programme and hosted by the CIIT’s Faculty Development Academy, in Islamabad on 23rd May, the talk (fourth in the series) revolved around ‘UN 2030 Agenda for Sustainable Development’, adopted in 2015. 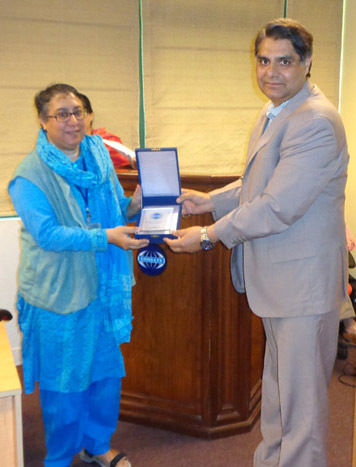 Dr. Seeme Mallick, from the Centre for Climate Research and Development, COMSATS Institute of Information Technology (CIIT), delivered the talk and emphasized adopting clean energy mechanisms to address several development issues facing Pakistan and other COMSATS Member States. She was of the view that there was need to focus on provision of clean energy and better pricing mechanism for rapid development. 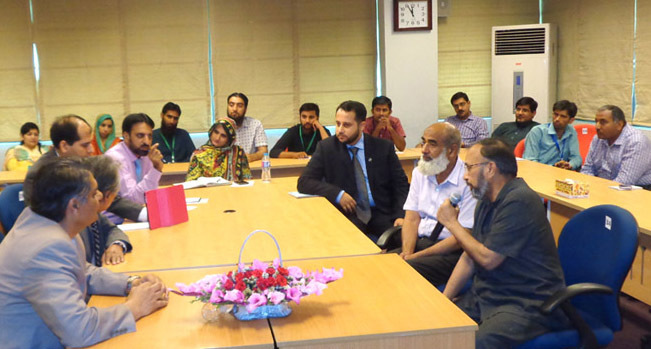 Students, academics, researchers, doctorate scholars, as well as COMSATS’ designated Science Ambassadors and other officials attended the lecture. 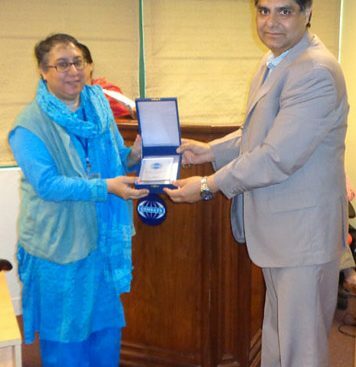 Dr. Mallick presented a review and rational outlook of SDGs in the context of Pakistan. She opined that each of the SDGs has its own significance for Pakistan. These goals mainly include: No Poverty; Zero Hunger; Good Health; Quality Education; Gender Equality; Clean Water and Sanitation; and Reduced Inequality. She considered that success of the SDGs is correlated to nations’ advancement in science and technology. For Pakistan to achieve the said goal, she proposed achieving sector-specific investment, macroeconomic stability, improved transport infrastructure, greener practices and processes in industry and agriculture, and channeling scientific research at higher education centers towards SDGs implementation. Science Diplomacy Programme of COMSATS has been active to sensitize the policy makers and public on the potential of scientific interventions in addressing the development issues, as well as the need for stronger and wider collaborations in science and technology. Dr. Mallick considered COMSATS as an important forum to design a plan for Science and Technology-based approach for implementation of SDGs in its Member States including Pakistan. Earlier, in his opening remarks, the Coordinator of the Science Diplomacy Programme, Dr. Arshad Saleem Bhatti, gave a brief introduction of the Programme. He hoped that it would result in creating a pool of experts in various areas of S&T with a view to strengthen Science Diplomacy in the developing countries. Dr. Bhatti informed the participants that the Programme would be expanded to other Member States. 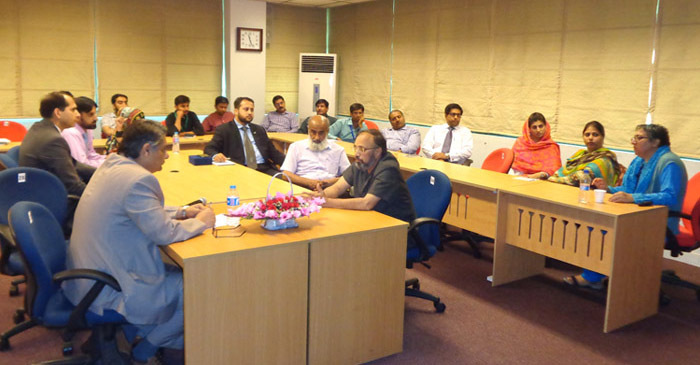 During an interactive session, the participants shared their thoughts on efficient use of renewable energy; need for action plan at national and regional levels for achieving the SDGs; involvement of science-based institutions for achievement of SDGs; prioritization of SDGs based on indigenous needs and resources; need for development of common fund for helping the resource-challenged countries in achieving the SDGs; effect of China Pakistan Economic Corridor on energy situation and development; need to raise awareness on relevant issues; and on the use of ‘reverse metering’ to help optimize the energy available within the power systems without damaging the grid. COMSATS Advisor (Programmes), Mr. Tajammul Hussain discussed implementation aspects of the SDG’s during the concluding session. He considered SDGs as a wide topic that needed extensive deliberations and advocated the need for having a focused plan and proper prioritization for achievement of those goals. He thanked Dr. Mallick for her enlightening talk which, he said, highlighted some important issues and made pertinent recommendations.